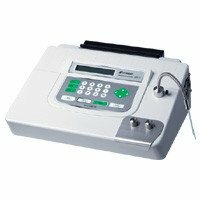 This model measures solutions of low concentration up to 2% at an extremely high accuracy level of ±0.005%. It is recommended for such samples as unsweetened tea and surfactants. 2 types of solutions – distilled water as the standard solution and the sample liquid to be measured – are injected into the instrument with syringes. By using a standard solution other than distilled water, solutions of higher concentration can also be measured.